When finished, should be about 6-7 inches tall. 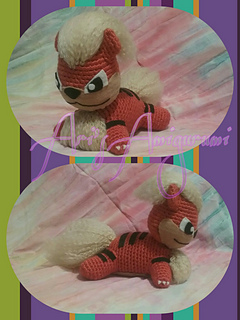 Growlithe and Pokémon is copyright Nintendo. This crochet pattern is an original pattern by Arielle Connell (September 2016). Please do not claim this pattern as your own. not sell items made from this pattern or redistribute the pattern. 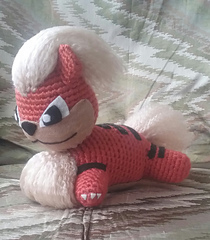 Also, I’d love to see pictures of your finished Growlithes! Send them to my Ravelry inbox!